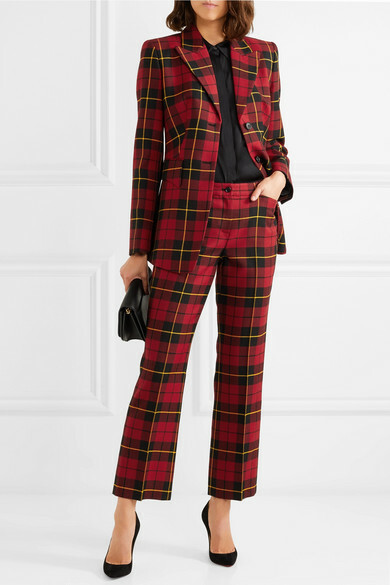 A born and bred New Yorker, Michael Kors drew Fall '18 inspiration from iconic fictional characters who live in the city and have fun with fashion - like Carrie Bradshaw. 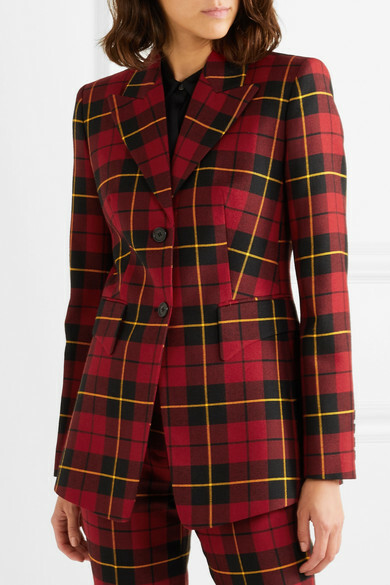 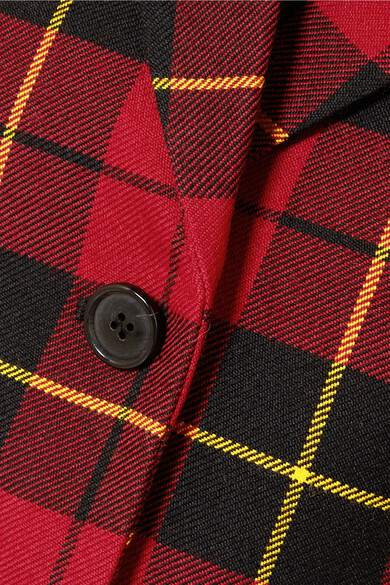 Worn at the show staged in the Lincoln Center, this tartan blazer is cut from red, black and yellow wool-twill. 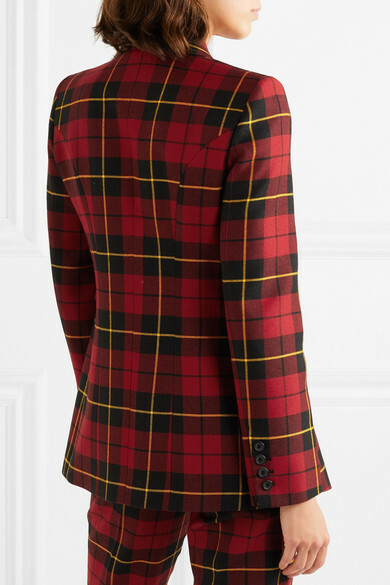 It's tailored to nip you in at the waist and has flattering curved flap pockets. 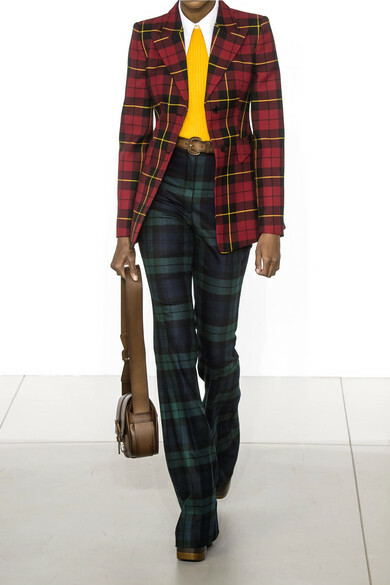 Shown here with: Michael Kors Collection Pants, Theory Shirt, Victoria Beckham Shoulder bag, Christian Louboutin Pumps.